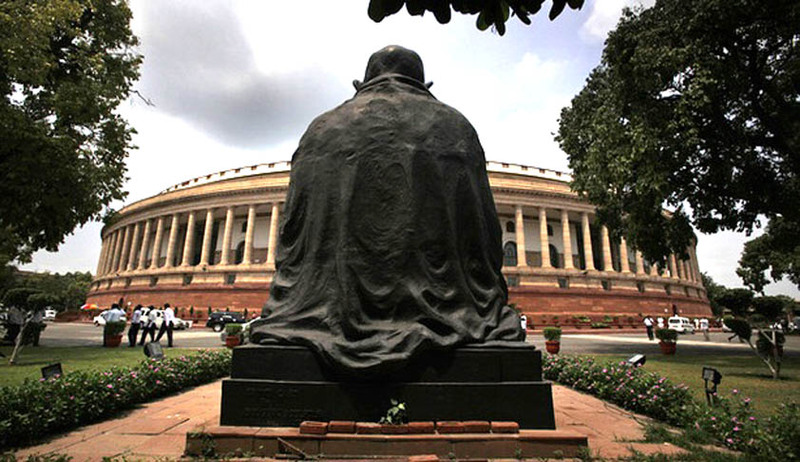 The winter session of the Indian Parliament has already begun on Monday. After making an impression on the country with the most productive budget session in the entire decade, wherein the Rajya Sabha and the Lok Sabha worked for more than their sanctioned time, expectations with the winter session seem to be on a rise. During the first Budget session of the 16th Lok Sabha, Parliament discussed the Union and Railway Budgets and passed several laws including Bills establishing the National Judicial Appointments Commission. Lok Sabha spent time discussing issues related to the monsoon, inflation, spread of encephalitis, atrocities against women and children, and communal violence. Issues likely to be discussed are the Government’s efforts to bring back black money, the deaths caused by forced sterilization in Chhattisgarh, the Nanavati commission report on the Gujarat riots and repeated Chinese incursions in the Himalayas. Currently there are 67 bills pending before parliament, 59 in the Rajya Sabha and eight in the Lok Sabha. Of these nine bills were introduced in the previous session of Parliament, while 40 of these were introduced in the 15th Lok Sabha, which was the regime of the UPA II Government. 18 other bills are pending from earlier Lok Sabhas. 11 Bills have already lapsed. 22 sittings are slotted for the winter session, from November 24 to December 23. According to PRS Legislative, two new Bills will be replacing existing ordinances of Coal Mines (Special Provisions) Ordinance, 2014, and Textile Undertakings (Nationalization) Laws (Amendment and Validation) Ordinance, 2014. The Coal Mines (Special Provision) Ordinance aims to provide continuity of availability of coal after the Supreme Court’s order to cancel the allocation of 42 mining leases. It allows these coal mines to be allocated to PSUs, or to private companies (for specified end-use) through a public auction. The Prevention of Corruption Amendment Bill states that giving a bribe is an offence, and extends the protection of prior sanction for prosecution to former public officials. The Textile Undertakings (Nationalization) Laws (Amendment and Validation) Ordinance is aimed to reverse a decision of the Supreme Court that divested the National Textile Corporation of some leased land. Both these Ordinances will have to be ratified by Parliament during the Winter Session; otherwise they will lapse and cease to have effect. Bills approved by the Union Cabinet in the last three months might also be discussed. These include the Merchant Shipping (Amendment) Bill, 2013 and the School of Planning and Architecture Bill, 2014. 11 Bills relating to health and family welfare including the Mental Health Care Bill, 2014, and the HIV (Control and Prevention) Bill, 2014 are expected to come up. The Mental Health Bill guarantees government funded care and treatment for mentally ill persons; allows them to make advance directives on how they will be treated during mental illness; and decriminalizes attempt to commit suicide. Bills like the Rights of Persons of Disabilities Bill, 2014, Juvenile Justice (Care and Protection of Children) Bill, 2014, Factories (Amendment) Bill, 2014, Tribunals, Appellate Tribunals and Other Authorities (Conditions of Service) Bill, 2014 and Railways (Amendment) Bill, 2014, which have been examined by Standing committees are also expected to be discussed. The ministry of labor and employment also has bills pending such as the Factories (Amendment) Bill, 2014, and the Apprentices (Amendment) Bill, 2014, both of which were introduced in the last session. There are also older bills, such as the Child Labor (Prohibition and Regulation) Bill, 2012, and the Building and Other Construction Workers Related Laws Bill, 2013, which are still pending. The Select Committee to which the Insurance (Laws) Amendment is referred to by the Rajya Sabha is scheduled to submit the report by the end of the first week of the winter session. This bill allows foreign ownership of insurance companies to be raised to 49% if equity capital from the current cap of 26%. The Government had indicated that it could introduce two important bills that would amend the Constitution of India. This includes the bill that would enable the introduction of the Goods and Services Tax. This bill would need the support of two-thirds of members of Lok Sabha and Rajya Sabha, and then be ratified by 15 state assemblies. There are other Draft Bills that are in the process of being finalized by individual ministries that may be introduced in this session. They include the Road Transport and Safety Bill, 2014, which is likely to replace the Motor Vehicles Act, 1988 and Draft Assisted Reproductive Technologies (Regulation) Bill, 2008. The Government had earlier invited comments and suggestions over the new Road Safety and Transport Bill, 2014, which rendered penalties more stringent, with an obvious aim to curb traffic violations. Read the LiveLaw story here. Similarly, comments and suggestions over the draft amendment Bill of the JJ Act were also invited. Read the LiveLaw story here.